Hyrule Warriors: Definitive Edition is ranked in the 73rd percentile of games scored on OpenCritic. The name is rather suiting, Hyrule Warriors Definitive Edition is definitely the strongest entry in the Hyrule Warriors games yet. Hyrule Warriors: Definitive Edition is pushing it, given that there's already been a portable "definitive" release with previous DLC and then some, but if you skipped out on the 3DS release entirely (because it ran poorly on non-"New" models) or haven't played Hyrule in any form yet, it's going to be a much more enticing prospect. Hyrule Warriors: Definitive Edition takes a great game and makes it greater, though it's fair to say that for anyone outside of Legend of Zelda or Warriors series fans it will undoubtedly feel less special. Hyrule Warriors: Definitive Edition is a Smash where Zelda is all of the Bros. It is bursting with the ghost of Nintendo's sweetest past. Hyrule Warriors Definitive Edition lives up to its name: it's the best version of this game, and this game is also the best in the Warriors series. Easily the best version of the game, Hyrule Warriors: Definitive Edition comes so packed with content that it boggles the mind. It's a game well worth revisiting, and an amazing value if it's your first time visiting this take on the land of Hyrule. Don't let it slip you by. Hyrule Warriors: Definitive Edition (and to be fair, the Wii U and 3DS versions before it) are a brilliant example of borrowing some toys from the big kids and still having fun even when you know you have to give them back eventually. Hyrule Warriors comes at you hard and fast with entertaining gameplay, a hefty amount of challenge and a myriad of content that would take even the most dedicated completionist a while to knock out, or more than a cross-country train trip anyway (kooloo-limpah!). If you're looking for something to scratch that Zelda itch or you want to smash some baddies and groove to some excellent tunes while you're out and about, you'd be hard-pressed to find a game that delivers so much in such a tight package. Even though it's not official Zelda, it's official that Hyrule Warriors: Definitive Edition is definitely the best version of this game and that alone is enough to give this legend a look. If you’ve played the previous versions before, there really isn’t a big, overarching new feature in Hyrule Warriors: Definitive Edition, so there’s less incentive for you to double or even triple dip unless you want the ability to play on the go with a bigger screen. If you’ve never played it, though, this is literally the definitive version of the game and is the one you should get. For fans of the Warriors-style of games, Hyrule Warriors is easily one of the best takes on the Musou formula. Hyrule Warriors: Definitive Edition is a solid fighting game. It expertly meshes the gameplay of Dynasty Warriors and The Legend of Zelda with a decent story and a massive amount of content. It’s not perfect, but it’s a lot of fun and immensely satisfying to just plough through scores of enemies in a single hit. For people who didn't play through the DLC on the Wii U version, or want a portable version of Hyrule Warriors that doesn't feel like a one massive compromise after another, Hyrule Warriors Definitive Edition is essential. Hyrule Warriors: Definitive Edition is just that, the very best edition of the title that has been released. As long as everyone knows what they're getting into though I would definitely recommend this game to fans of the Dynasty Warriors franchise regardless of their familiarity with Zelda. I'd also give a thumbs up to fans of the Zelda games that are into arcade-style action every now and again. It might have taken a couple tries to get the formula right, but Hyrule Warriors: Definitive Edition is exemplary. Much can be said about the absurd amount of content, but what really takes this game to the next level are the various refinements. The item card shop alone makes a world of difference for dedicated adventurers. There's also the enhanced frame-rate, which lends a better sense of control and situational awareness to the player. They are better equipped to notice those subtle changes in enemy behaviour, or realise when a massive attack is coming. Aside from a few nit-picks, there's hardly a reason to pass on this fantastic title. Hyrule Warriors: Definitive Edition is a really fun experience on the Nintendo Switch and really is the definitive version. It contains all the updates and plenty of unlockable characters, items and costumes to help enhance your overall Musou experience but in the world of Zelda. Hyrule Warriors Definitive Edition is the best version of the Legend of Zelda hack-and-slash experience. While it does suffer from some problems the original versions had, the plentiful amount of content mixed with entertaining gameplay and colorful cast of characters make this a legend the hero of time would love. Hyrule Warriors: Definitive Edition has all of the quality of the 3DS version that built on the Wii U original (and some of the more recent Fire Emblem Warriors improvements added for good measure) and none of the drawbacks. A superb portable Warriors experience with a shocking amount of quality content packed in. 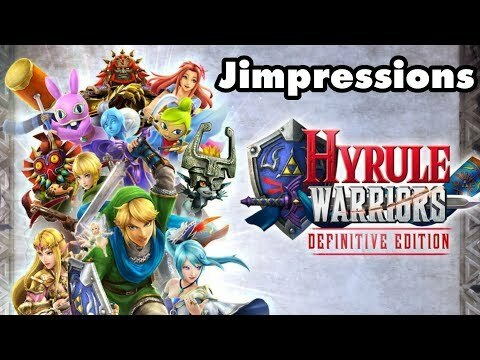 Hyrule Warriors: Definitive Edition is perfect for those who have not played the original game. This a very original musou game and it is almost perfect in every sense, even though its graphics could have been improved a little bit for this version. All in all, I am happy that I played through Hyrule Warriors again. The experience is a lot of fun, and the scenarios are incredibly diverse. Popular locations, iconic songs and a truckload of things to see and do make this one title that is going to keep you going well until the next Zelda game comes out, and then some. If you missed out on the Wii U Hyrule Warriors, I'd more than suggest buying the Definitive Edition here on Switch. Not only is it one of the best Warriors spin-offs to date, but chances are you're a Zelda fan if you own the Switch and it's just a great spinoff of Link's adventures altogether. Can it get repetitive? Sure, but that's the nature of Action RPGs like this – Warriors games are essentially 3rd-Person Diablos without the loot hunt. Playing coop is a joy, the Adventure Mode is an awesome addition, and raising your own fairy is surprisingly cute and meaningful. With all the content on display, it's worth the full price of entry. I went into Hyrule Warriors with zero expectations and came out satisfied — this is a cool game with treats for Zelda fans, strategy fans, and hack-and-slash fans alike. Hyrule Warriors: Definitive Edition is exactly what the title states; it is the ultimate version of Hyrule Warriors. The game has everything that was available on the 3DS and Wii U combined and runs at 1080p and 60FPS. For those interested in the series but never took the chance, this is the perfect opportunity. The game is loaded with more content than more games with full series, it looks good and the music is pretty great. There is no stuttering, no pop-in, and no performance issues that I’ve encountered. The game offers couch co-op and the story is surprisingly good. For those who have already played it... well, then it might be more difficult to recommend. 3DS players will see a vast difference in visuals and performance and Wii U owners will find an experience similar to what they’ve previously experienced. For you, I imagine portability will be the defining factor. For me, the portability trumps everything else because of my hectic lifestyle. Regardless, one thing is for sure, and that’s that the best version is the Switch version. The best version of a great game but still the lack of new content it's its biggest flaw. This truly is the definitive Hyrule Warriors experience, and a must-buy for those yearning for more in the wake of Fire Emblem Warriors. Though some time to adjust is needed, you'll soon be back slaying the best of what the kingdom has to offer. Hyrule Warriors: Definitive Edition brings this Dynasty Warriors Legend of Zelda hybrid title new life thanks to improved performance. Whether you're an avid Zelda fan or casual Warriors player, there's something for you to love here. The Switch is the perfect console for a Musou experience since this game is best enjoyed in short bursts; prolonged spells almost reveal the secret of its magic, leading to a more laborious experience. Thanks to its rich suite of characters, maps, modes, and more to enjoy alongside substantial improvements to the game's technical performance, Hyrule Warriors: Definitive Edition earns its namesake as the best way to play one of the most unusual Zelda titles yet. While it may not stand up to the likes of last year's Breath of the Wild (or many other Zelda titles for that matter), Hyrule Warriors is still an enjoyable, fast-paced, and frenetic way to play this remixed take on one of Nintendo's oldest franchises, Musou-style. Hyrule Warriors: Definitive Edition combines the best of both versions of the game, providing ridiculous amounts of content that any Zelda fan would swoon over. Hyrule Warriors: Definitive Edition on Switch brings all the DLC from other platforms together for what is, in essence, a remaster of one of the best Zelda spin-offs. If you missed out on this game on Wii U I cannot recommend it enough. However, if you are like me and already sank double-digit hours into the original, you will find it hard to justify ... this game. If you're a Zelda fan and want something more combat oriented with a strong element of strategy to it, then Hyrule Warriors: Definitive Edition is worth checking out. Hyrule Warriors does not have a lot of new content in Definitive Edition, however Switch version of the game is very handy. Hyrule Warriors: Definitive Edition is really meant for those who, like me, missed out on the previous versions. And for us, it's a fantastic package. All told, Hyrule Warriors: Definitive Edition is a great time-sink game, featuring mindless but fun action gameplay that offers up the potential for dozens - if not hundreds - of hours of content. Though it certainly feels like a game that's too bloated in places, it manages to balance the Zelda and Dynasty Warriors elements well. Group all of that with stellar presentation and impressive portable gameplay, and you've got a game that does a great job of doing something new (and weird) with a classic Nintendo property. We'd give this one a recommendation, especially to fans of the Zelda series who have always wanted there to be some sort of 'anniversary' game. Hyrule Warriors: Definitive Edition may not have a ton of depth, but it's way more fun than it has any right to be, and you'd be missing out by not picking up this complete edition. Hyrule Warriors: Definitive Edition will be a much more appealing and enticing prospect to those who haven't already played the game. This is one of the most fleshed out and content-filled Warriors games I've seen in a long time, and even if you aren't a Zelda fan, there's still plenty here to charm you if you're not turned off by the repetitive combat. Hyrule Warriors: Definitive Edition lives up to its moniker, and makes a compelling argument for both fans and newcomers of the game to pick it up. It's a welcome addition to the Switch's library, though anyone that already had their fill elsewhere shouldn't feel the need to upgrade. Hyrule Warriors Definitive Edition is the best way to play the game, and is a good fit on the Switch. That said, this one's definitely for newcomers rather than returning players, and the frame rate can still play up in moments where's there's just a bit too much going on. Hyrule Warriors: Definitive Edition combines the best of both worlds to form a product than can please even the biggest musou opposer. It also has tons of content, but the lack of true new adds makes it difficult to recommend to those who played the Wii U or 3DS versions. With Hyrule Warriors, Nintendo once again invites you to take a detour into the imaginative Hyrule. The thrilling battles, numerous characters, varied maps and lovingly staged missions ensure many hours of fun. The title also lacks nothing in technical terms thanks to better graphics, fluid gameplay and a fun multiplayer. Although Hyrule Warriors isn't an absolute novelty for fans of the series, the generous gameplay means they can enjoy hours of action fun. This hack-and-slash romp is as good as it was in 2014, but remains fundamentally the same game, making it best suited for those yet to experience Hyrule Warriors whatsoever. I had enough fun with Hyrule Warriors: Definitive Edition that I can recommend it as a fun guilty pleasure if you've got some extra coin but it's not a must play experience. Hyrule Warriors: Definitive Edition shines with massive scope and is a great introduction to the Musou genre - but only for Zelda fans. I didn't expect to enjoy going back to Hyrule Warriors as much as I did. The included DLC content, local multiplayer and better performance make this one of my personal all-time favorite Warriors games. There are still some frustrating aspects, and I'm not sure I'm willing to invest the required time to grind out 100%, but Warriors fans and those who haven't played Hyrule Warriors yet will find their money's worth in Hyrule Warriors Definitive Edition. Hyrule Warriors: Definitive Edition shows its age when compared to recent Warriors games, but for Zelda fans, there is no better way to experience a Zelda crossover with your favourite characters. Hyrule Warriors: Definitive Edition is a good-quality port of the Wii U game, but outside of much more stable performance and better local co-op it doesn't add enough new content to make replaying the story mode interesting again if you've already tried it. Luckily, the Adventure Mode maps and 16 of the 31 unlockable characters are available from the start. Hyrule Warriors Definitive Edition takes some of the best aspects of Zelda and musou games and blends them into a somewhat monotonous but mostly fulfilling experience. Fans of the Wii U release and newcomers will appreciate what they have added here. With terrible handheld performance and a lot of repeating levels being its only major drawbacks, this is definitely the better of the two Nintendo Warriors games. As an enhanced release, Hyrule Warriors: Definitive Edition seems to come packed with content, but the performance of the game, especially in portable mode, is rather disappointing. 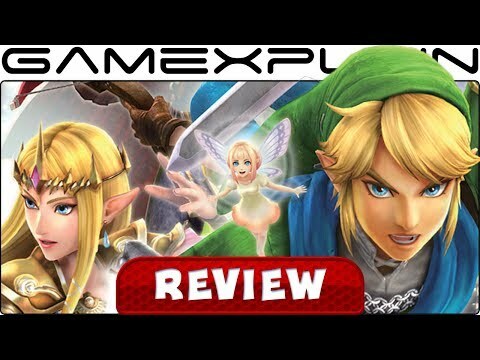 It is a fun Zelda spin-off that offers a good amount of fanservice and serviceable gameplay. In its core Hyrule Warriors Definitive Edition is a traditional Musō-style Game which unfortunately took over 1:1 all of the typical issues that the Warriors series has. Also the game fights with technical issues but carefully manages to take all the major storyelements of the Legend of Zelda series that create an interesting perspective on how Link and his friends would face epic battles within it. Fans of both worlds should give the world of Hyrule apart from Nintendo a try. Hyrule Warriors: Definitive Edition on the Nintendo Switch builds up on the Wii U game and adds new maps and characters that certainly make this a worthy purchase, even if it does not bring anything groundbreaking for those who know the original. 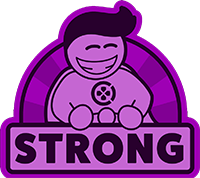 Not everything goes according to the plan, however, and there are some issues concerning the frame rate when played on handheld and which should have been fixed with a more tailored option. The third version of Hyrule Warriors is certainly the best version. The tweaks made to this version help it to be more enjoyable than the original and with all the DLC included, this is an incredible amount of content to work through. Worth playing if you love it, need a good co-op game, or haven't played it, but it won't win over any new fans. You will almost assuredly find enough content and fun hack and slash action to justify a full priced title, even if it's not the absolute best Nintendo Warriors has to offer. One of the best musou games with unique characters, beautiful combo attacks and bright magical effects now available on Nintendo Switch. Port could've been better if developers made more efforts to optimize it specifically for the new console just like Fire Emblem Warriors. Hyrule Warrior: Definitive Edition is a great game if you haven't played Hyrule Warriors before. Homewever, for those who already played the original game or its 3DS counterpart, there may be too little to enjoy in this definitive version of the game. It’s not a bad game, but the mileage you’re going to get out of it will vary depending on the type of player you are. On Nintendo Switch, Hyrule Warriors Definitive Edition is pretty much the same action packed and repetitive beat them all it was on Wii U four years ago, with some improvements on the technical side and all the DLC. For Zelda or Muso fans, it's still a joyful way to blow off steam. but if you own it on Wii U or 3DS,there's only one feature you'll notice, split screen on portable mode. Pulling on your Zelda nostalgia heartstrings to drive motivation, even though the battles are all pretty much the same. Hyrule Warriors: Definitive Edition is the definitive Warriors game, but The Legend of Zelda gets nothing out of this relationship.